R is an Open source or Free Software environment for Graphics and statistical computing. It is available on a wide variety of platforms such as Mac OS, UNIX, and Windows. In this article, we will show you, From where or How to download R Software with screenshots. Following are the steps involved in R Software download. 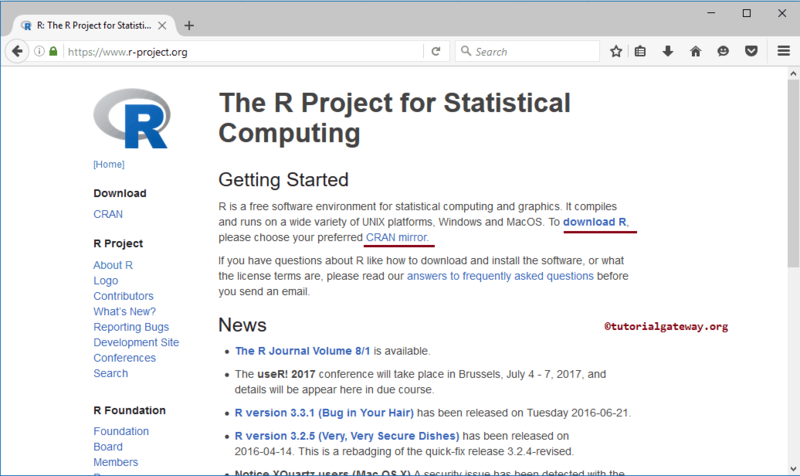 Step 1: In order to download R Software, first Go to the official R Programming website by clicking this link Download. Below screenshot will show you the Home page of the official website. 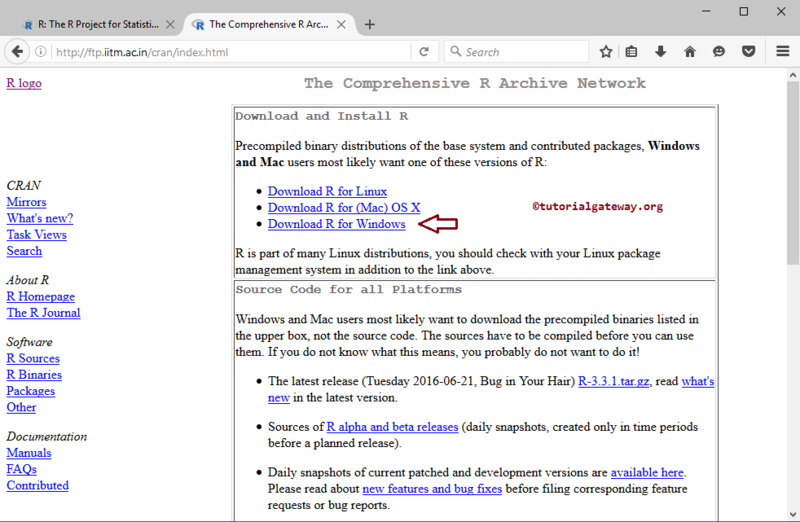 Next, Click on the download R or CRAN mirror to start the r download process. Step 2: Once you click on the above-specified hyperlinks, following tab or window will be opened. Please select your closest mirror for R software download. 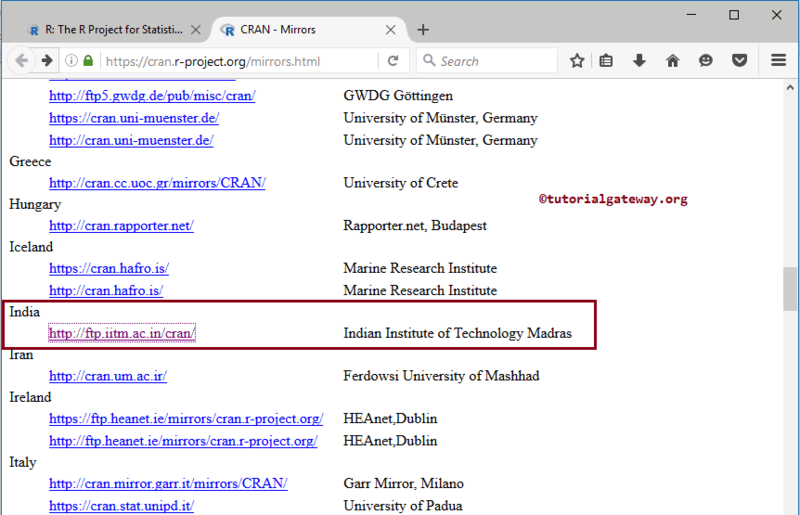 Since I reside in India, I am selecting the India Institute of Technology Madras mirror. Step 4: Once you select the platform, below screenshot will be displayed. Here, Please select the Install R for the first time option if you are installing R for the first. 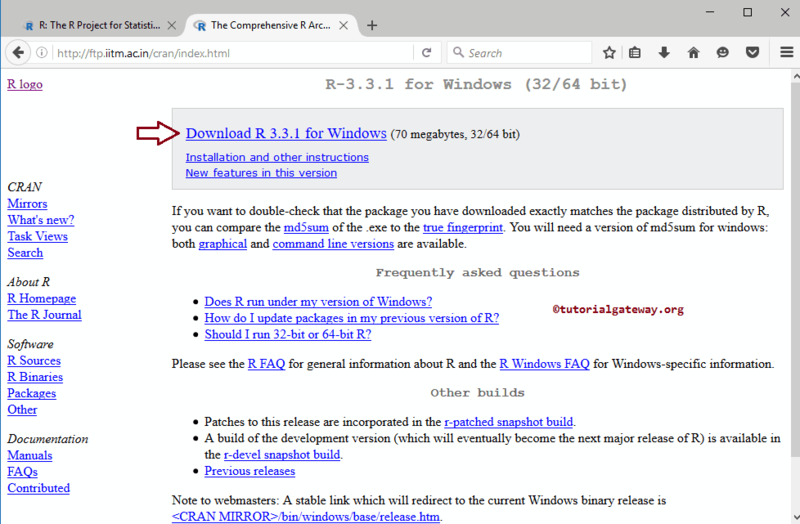 Step 6: Once you Click on the Download R 3.3.1 for Windows hyperlink, a pop-up window will be opened to save this file. Please select the Save File option. 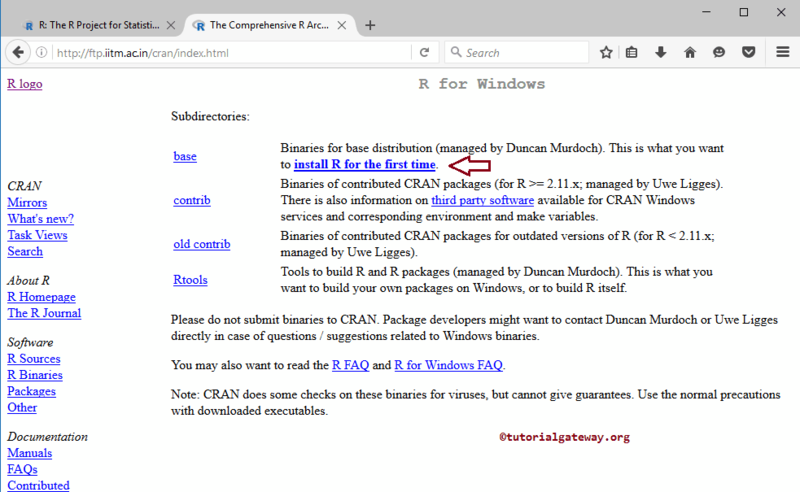 TIP: Please refer Install R Software article to understand the steps involved in installing the R software.